Posted 2/9/2011 6:54pm by Eugene Wyatt. 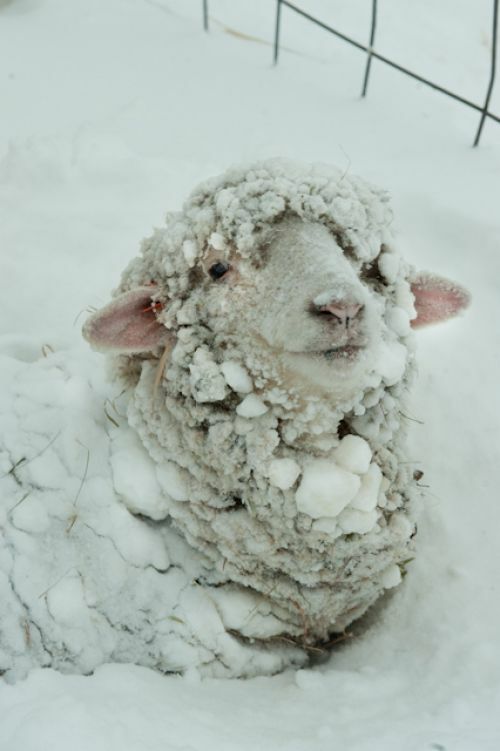 The low this evening will be 12° F. The ewes are warm in full fleece, 10-12 lb of wool with a staple length of 3-1/2". We are shearing in 2 weeks and they will start lambing in about a month. 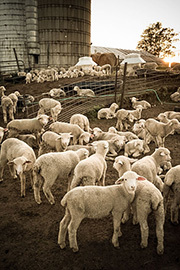 The ewes are in good condition—not too thin and not too fat—to have their 6-7 pound healthy lambs in easy, unassisted deliveries. The ewe walking toward me is coming over to see if I've learned something from Dominique about sheep etiquette and have a pocket full of grain from which I can produce a handful for her to eat.